THE peaceful town of Marburg secretly played host to an international pop star in recent months. 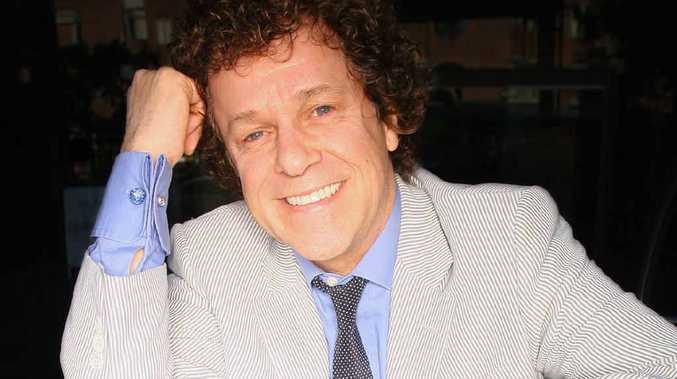 British-born singer-songwriter Leo Sayer, now an Australian citizen, mixed his upcoming album Restless Years at a studio in Marburg. "I'd come up there for a few weeks and stay at this wonderful little hotel called Woodlands in Marburg, which is lovely," Sayer told The QT in a phone interview from his Sydney home. "Nobody actually knew I was there. I'd be sneaking in between the wedding parties there on the weekend and they put me in a quiet room in the front." It was the talents and reputation of one of Marburg's newer residents, John Hudson, that attracted the pop star to the region. The Grammy Award winning mix engineer set up Mayfair Recording Studios in London and has recorded and mixed 167 Top 10 records by more than 61 artists. Hudson's list of studio work includes Annie Lennox, U2, Eric Clapton, the Bee Gees, Stevie Wonder, Diana Ross, Elton John, Rod Stewart, Elvis Costello, David Bowie, Mariah Carey, Tom Jones, Pink Floyd, Phil Collins, Kylie Minogue, Meatloaf, Jack Johnson, Pulp ... the list goes on. Sayer said it was a strange experience working on the album with Hudson in his Marburg Queenslander. "John lives in a farmhouse up there," he said. "This is a guy who used to mix Tina Turner and Bryan Adams and has got loads of Grammys and now all he wants to do is be a country farmer. "So we went up there and we were in this shack and I'm saying what's that smell and he said, oh, next door, you know some dead cows. He's a pom like me and has now become an Australian. "It's a strange thing. There's two of us sitting on the veranda of this house looking out to the brown earth below us with the sound of the album going on in the background, which is completely in contrast to where we are, and we're thinking, it's not bad is it? How did we get to here, as we put another T-bone on the barbie." The experience is another interesting twist in Sayer's travels. "Marburg is a lovely little place with one hotel and a lot of dead cows in a field. That was my experience of it. "It sadly needs some rain. But it's a beautiful place and the people are very real." The visit gave locals a few surprises. "In the middle of mixing we'd drive to a local in Glamorgan Vale," Sayer said. "We'd drive to a little pub there and the guy would say, right come on Leo, I've got a karaoke spot up there, get your tapes out." And Sayer was happy to oblige. "You have to, don't you," he said. "They won't give you a drink unless you sing. "Glamorgan Vale is beautiful. The Lockyer Valley is gorgeous as well. I think you're in heaven." Read The QT's full interview with Leo Sayer later this week.